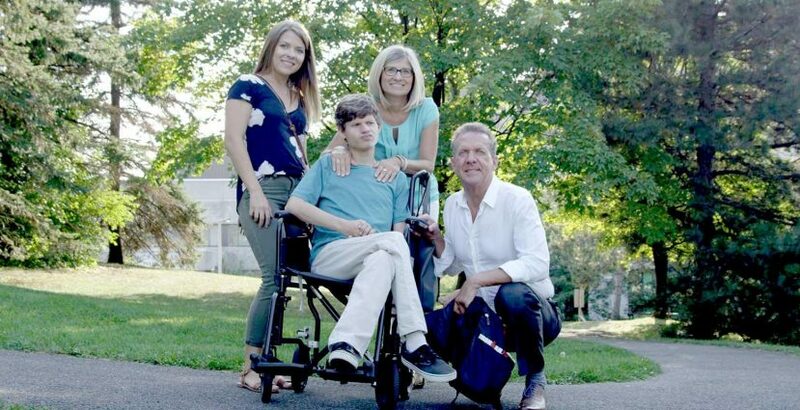 Justin Vachon was born in 1997 with a neurological disorder so rare it had never been seen in a Canadian clinic before. His family had to wait until 2016 for the genetic underpinnings for his disorder to be identified. Justin’s doctors at the Children’s Hospital of Eastern Ontario performed whole exome sequencing to identify candidate variants in his genome and then shared those, along with details about his symptoms, through the Matchmaker Exchange (MME), an internationally federated database of rare disease data. Justin’s data matched with those of families in Australia, the Netherlands, and multiple other locations around the globe, confirming two variants responsible for his disease. The results brought a close to his family’s 19-year “diagnostic odyssey” and hold promise for other families around the globe.